The one-story rectangular brick building has remained a contributor to the commercial streetscape of Orange Street from turn-of-the-century Redlands to the present. Over the years, many changes were made to the building, including the stuccoing of the façade and the changing of the storefront entry. Over the years there have been many businesses in this building. 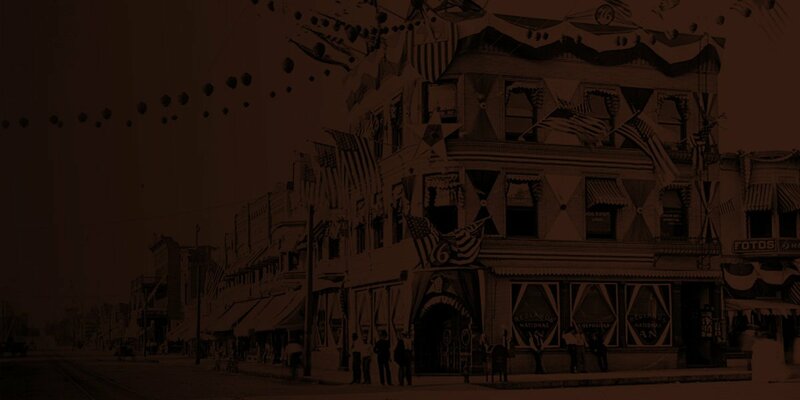 According to the 1902-03 Redlands City Directory, J. Costello Furniture was the first to occupy the building. There were other furniture stores, a transfer company, clothing stores, a liquor store (1936), a restaurant (1949), Gearhart Pontiac (1955), a pet shop, and in 1985 Video Genesis. Today, the 2,400 square foot building has been given new life by the new owners Rod and Kathy Dierking, who purchased the building in 1996. They spent many hours researching the building in order to try and locate any photographs or information. The results of their research helped to make their restoration choices. They removed all of the layers of alteration that had occurred over the years to the building. The stucco was removed on the front façade, revealing the original brick and the building was seismically retrofitted to meet city codes. Additional windows were cut into the south façade. The entry was changed back to a more traditional storefront entry, moving it ten feet from the sidewalk. A wooden roof cornice and brackets were added, giving it a more typical appearance of the commercial buildings on the block at the turn of the century. 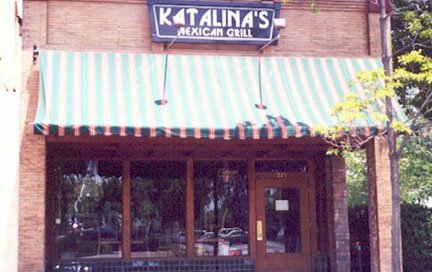 Two years of dedication and weekend work has produced a charming building, which houses Katalina’s Mexican Restaurant. The Redlands Area Historical Society commends the Dierkings for their foresight and stewardship of this important commercial structure in the city’s Santa Fe Depot National Register Historic District.